If you’re a global advertiser, having your campaigns targeted in multiple languages is critical to reaching the customers you want. 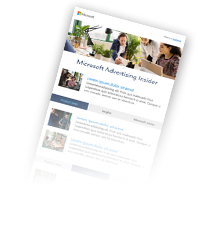 In the past, Bing Ads has only supported language targeting at the ad group-level, causing differences in structure between your Google Ads campaigns and your Bing Ads campaigns. With multiple language targeting, you’re now able to expand your global reach by choosing from multiple Bing Ads support languages to target customers at the campaign level. What are the benefits of multiple language targeting? Reach more customers. Targeting additional languages allows you to gain ad impressions on more queries and increase your reach. Show more customer-friendly ads. By being able to serve ads in more languages, you can improve ad quality and customer satisfaction. Make updates with flexibility. You can update the set of languages you choose to target at any time, even after the campaigns are active. Import across platforms more easily. Multiple language targeting at the campaign level makes it easier to import campaigns from Google Ads. 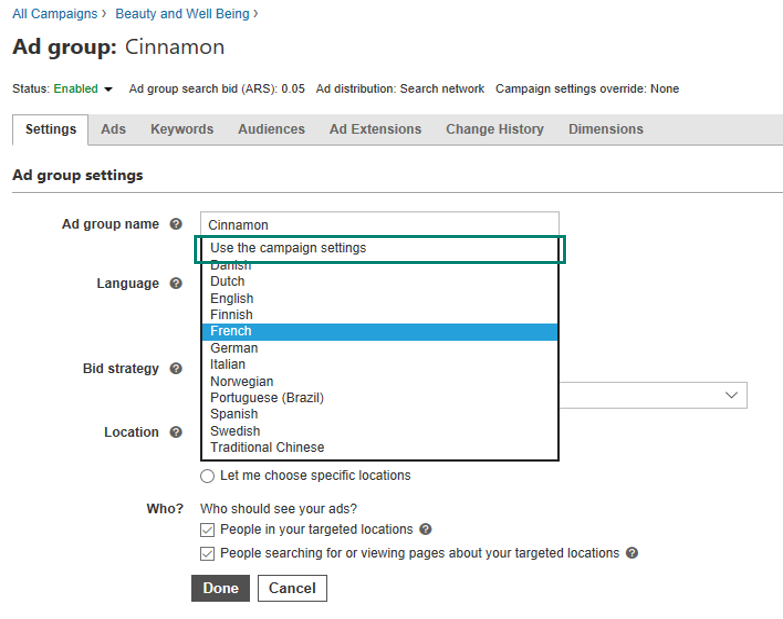 Bing ads will import all the supported languages for the campaigns and set the ad group language to use the campaign settings. 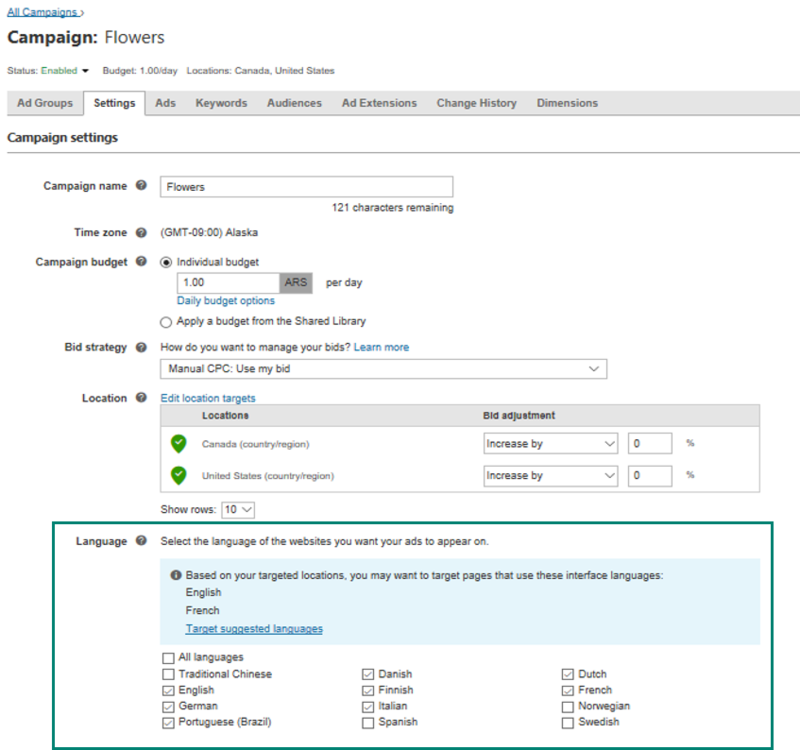 With multiple language targeting you can target multiple languages for a campaign and have your ad groups use the campaign settings. The campaign languages will then apply to all the ad groups. If you want the ad group to target one specific language, you can still have an ad-group-level language setting. The ad group language, if set, will override the campaign settings. To target your existing campaigns with multiple languages takes just two simple steps. First, you will need to setup your campaigns with those languages. You can select All languages or select one or more of any of the twelve supported languages. Secondly, setup your ad groups to Use the campaign settings. That’s it. Now your ad groups will target all the languages that you selected for the campaigns. Note that you may need to wait for a few hours after setting up new languages for a campaign, to set the ad groups to Use the campaign settings as the campaign languages are being editorially processed. If you have several campaigns that need to be setup with additional languages, you can use bulk editing to select multiple campaigns and update the language settings. Then similarly, update the language settings on multiple ad groups to Use the campaign settings. These new language settings are also supported in Bing Ads Editor as well as in the API, so you can choose the tool of your choice to manage language settings seamlessly. Remember that Bing Ads doesn’t translate your ads. It’s a good idea to write your ads in the language you are targeting. For more details on this and the list of ad languages Bing Ads currently supports, see How does ad language and location targeting affect who can see my ads? We hope this allows you to take better advantage of the global Bing Network and manage your campaigns more efficiently. If you have any questions on example campaign structures and guidance for migration, please contact Bing Support or your account manager.